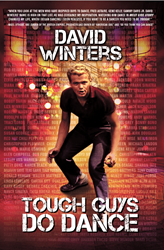 David Winter's Autobiography "Tough Guys Do Dance"
Fans are reminded of the cultural significance of West Side Story by the impressive career of David Winters, who was one of the few original actors in the Broadway production brought on to be in the film. We can’t get enough of West Side Story, and the good news is we don’t have to keep our “cool” for much longer. There is something to be said about a timeless story, but there is more to be said about a story that gets better with age. Inspired by William Shakespeare’s Romeo and Juliet, the Broadway musical turned classic film, West Side Story, has had a vibrant legacy for nearly 60 years. The story of Tony and Maria, the Jets and the Sharks, and undying love is one that touches all of us. Whether a lover of music, dancing, or film, West Side Story is a favorite of many audiences and to this day it is still enjoyed on screens big and small. Several theaters in the Los Angeles area have scheduled showings of the 1961 film in honor and celebration of how the film has inspired generations of young artists. The Debbie Reynolds Mainstage at the El Portal Theatre has showings running through Mother’s Day on May 13th. Additional showings are available at the La Mirada Theatre through May 14th and the Glendale Centre Theatre through May 26th. The popularity of West Side Story has not faded but it shines brighter as time goes on. This fact is evident by the recent news of Steven Spielberg signing on to direct the remake of the film with Tony Award and Pulitzer Prize winner, Tony Kushner, as its writer. The anticipation of experiencing Tony and Maria meeting eyes for the first time, looking for their Somewhere, is enough to make fans sing and dance with joy. Fans are also reminded of the cultural significance of West Side Story by the impressive career of David Winters, who was one of the few original actors in the Broadway production brought on to be in the film. Actor, dancer, choreographer, director, producer – these are just some of the titles found under the name David Winters. Now, he embarks on a kind of right-of-passage taken on by influencers and icons, such as Winters: writing his autobiography. A complex and loveable man, Winters prepares yet another gift to the cultural stream with his autobiography recounting stories that can only be told by someone who lives the life of true show business. So with the promise to delight both long-time followers and new-comers to the legacy of David Winters, spread the good news that West Side Story fans have much to look forward to in the very near bright, shining future. Put on those dancing shoes, slick back that hair, and remember to just play it cool, boy. You can find David Winters’ autobiography on Amazon or on his website http://www.davidwintersbook.com.